It’s hard for me to name recipes. These yum-yum smoothies have so many ingredients, how does one choose? Shall we focus on the colorful orange carrot? The sweet and delectable orange? The healthy fat, green avocado? Or the leafty green spinach? The tart green, frozen grapes or the luscious mixed berries? Well. 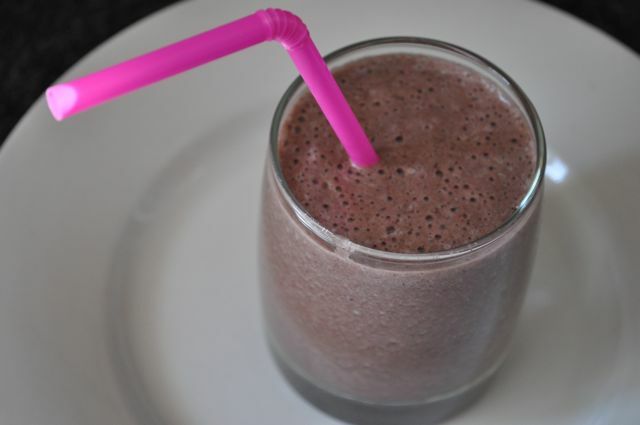 There is a new ingredient in this smoothie that I’ve never used before: Almond Milk! Are you lactose intolerant? Almond milk is a great alternative. It’s got protein, anti-oxidants and other vitamins and minerals. Gregor does not like milk or yogurt in his smoothies, but I like the creamy texture it gives. You know what else I snuck in here? 3 egg whites. Now, don’t freak out on me. When I was in high school I reeeeallly wanted to gain weight (I said, don’t freak out) so I would make chocolate milk and stir in an egg. Yes, stir. With a fork. There was no blending in those good ol’ days. Just gulp, gulp, down it went. It had such a distinct texture I only have to close my eyes and remember it distinctly…shudder. Forget the protein – aren’t you worried about salmonella???? Nah. This fear is largely oversold. Anyway, I’ve eaten enough cookie dough in my life that I don’t worry in the slightest about getting salmonella. I should be dead by now. So let us move on to the recipe. Which I decided not to headline with raw Egg Whites. This purple drink tasted good and it was filled to the brim with protein. I had so much energy I was ready to run that marathon I keep waffling over! I’m estimating on the serving sizes. I never measure, I just throw things in and make it taste good. Work your magic. 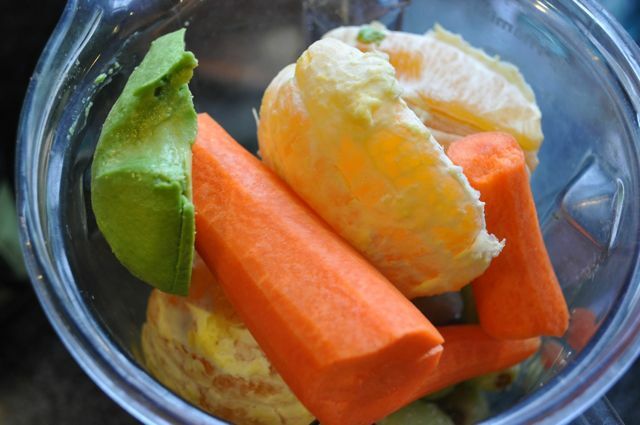 Turn on the Vitamix or whatever sweet blender you may have and let the magic begin. And I tell you what, drinking these egg whites was a far better breakfast than in 1992. Also, yes, I make enough to feed a small army. Adjustments can be made. I just happen to have a small army jumping up and down, waiting to drink the goodness. Enjoy lovies, and happy weekend! This entry was posted in Recipes, runner food, Weekend Recipe, yum-yum on June 9, 2013 by maisymak. I Did cringe on the egg whites, but you’re right- I’ve had plenty of raw cookie dough I my life too- still doin ok. I’m always looking for new smoothie recipes- we need quick breakfasts before swim practice. And I’m tired of handing out granola bars. Thanks! Do you peel the apples? Great idea to use frozen grapes! You really do come up with such, er, lively concoctions! 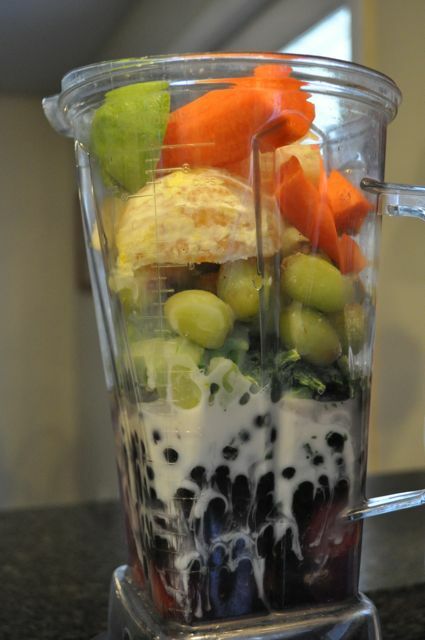 haha, actually, your smoothies always do look so pretty and inviting after you blend it all together. I think the name of every receipe you make contains “yum yum”. Patrick, is that a negative comment? Okay, there is this major smoothie/juice craze going on at my office since a vendor opened up across the street and these crazy concoctions are intriguing me more than ever. You promise it tastes awesome, right?